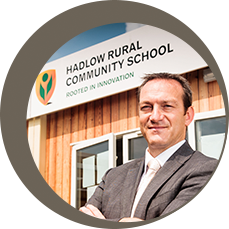 Welcome to Hadlow Rural Community School - an innovative and inspiring place to learn and achieve. Our purpose is to ensure all students reach and surpass their full potential by following a challenging curriculum, including English, Maths, Science, the Humanities and Languages, all uniquely linked to land-based study and experience. We hope many of our students will become business leaders and rural entrepreneurs of the future. Hadlow Rural Community School has high expectations of pupil behaviour and conduct and our staff deliver high quality care and guidance with a relentless pursuit of excellence through outstanding teaching. In this way we believe children become confident, fully rounded individuals, prepared for the challenges of an ever-changing society. Please explore this website to find out more about our unique learning environment.